Get a cooler night’s sleep with our Arctic Dreams Cooling Gel Mattress. 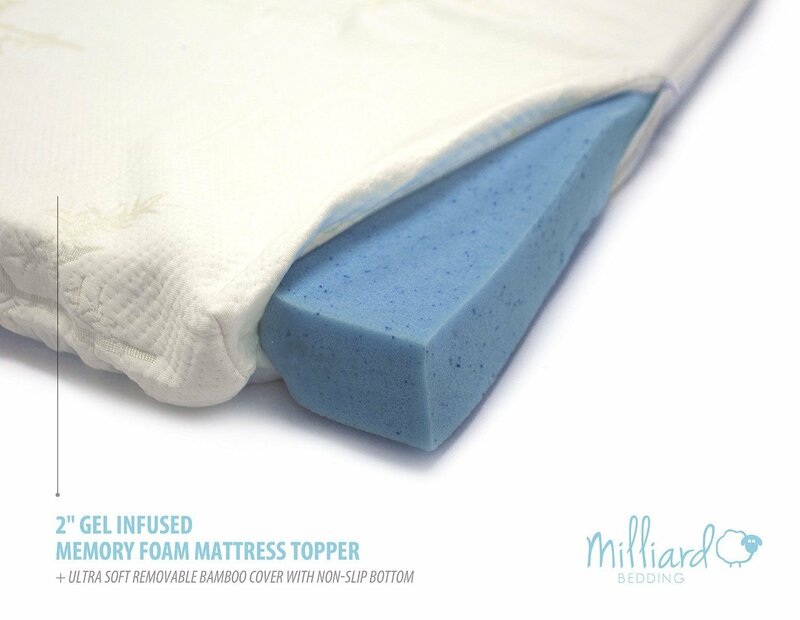 The Arctic Dreams mattress utilizes an advanced visco-elastic foam called Energex™. While a typical visco memory foam mattress will have slow recovery time, Energex™ provides a quick response alternative that bridges the gap between traditional visco and latex material. Its highly open, cool and responsive polymer structure is designed to offer a superior alternative to latex or springs while providing outstanding pressure relief properties that you will find in visco. The Arctic Dreams features 2-3 inches (depending on size) of fast response Energex gel foam on top of 6.75 inches of convoluted high-density polyurethane foam. All covered with .75 inches of a soft quilting layer. Put this all together and you have an unparalleled combination of comfort and support to give you a great night’s sleep. 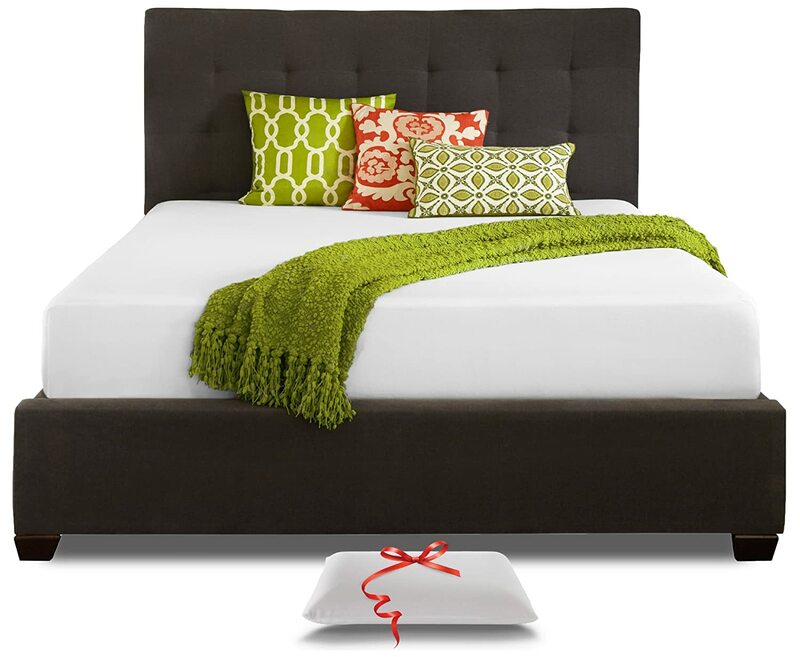 Revitalize your aging mattress with the Dream Foam 2 inch gel Swirl memory foam topper. 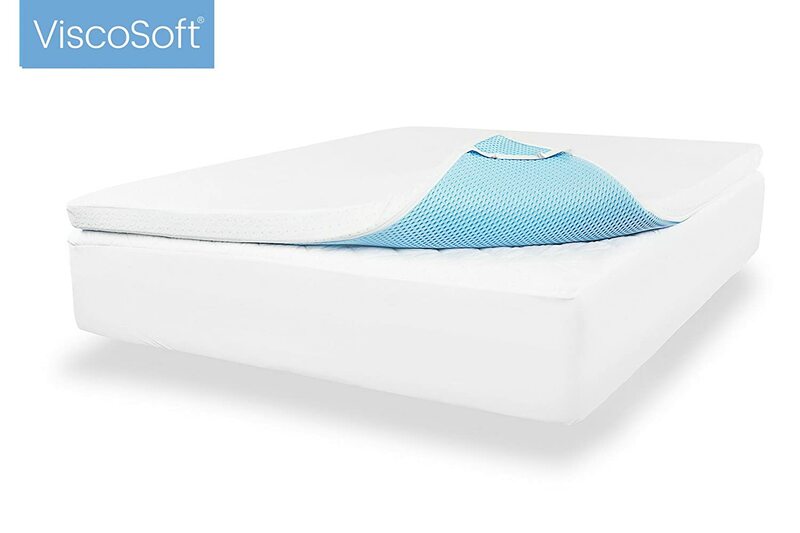 The soft visco-elastic memory foam will add comfort and increase the quality of sleep mattress immediately and It’s a great way to add a bit of plushness to a firm mattress too. 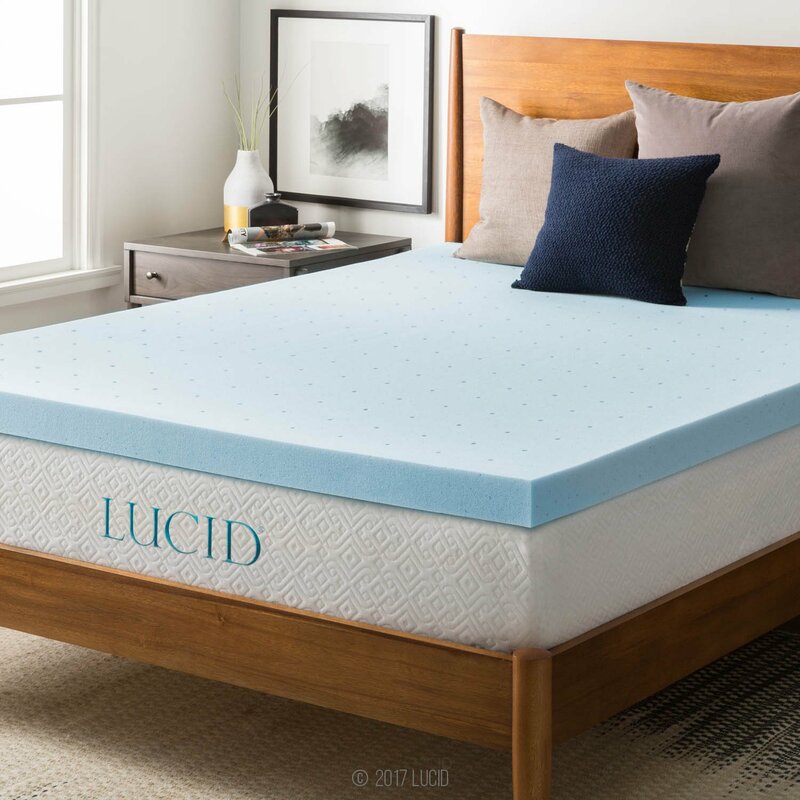 The Dream Foam Ultimate Dreams 13″ Copper Gel Memory Foam Mattress combines the health, support, and thermal properties of copper with the comfort and support of gel memory foam. Copper is inherently anti-microbial. It has been shown to be more lethal to the flu virus than Stainless steel. The Ultimate Dreams Crazy Quilt 7 Inch Tri Zone Mattress is the perfect bed for any type of sleeper. It offers a firmer support core that contours to the body, relieving of pressure points along the neck, shoulders, back and hips. The mattress is available as a twin or full size by itself, but you can get even more savings by purchasing the Twin/Twin option and receive 2 twin mattresses or the Twin/Full option and receive 1 twin and 1 full mattress. If you decide to choose the two Mattress option these beds will ship to your home in the same shipping box. Get a great bed at an even greater value. 100% manufactured in the USA. Fabric colors and selections may vary slightly from picture displayed. 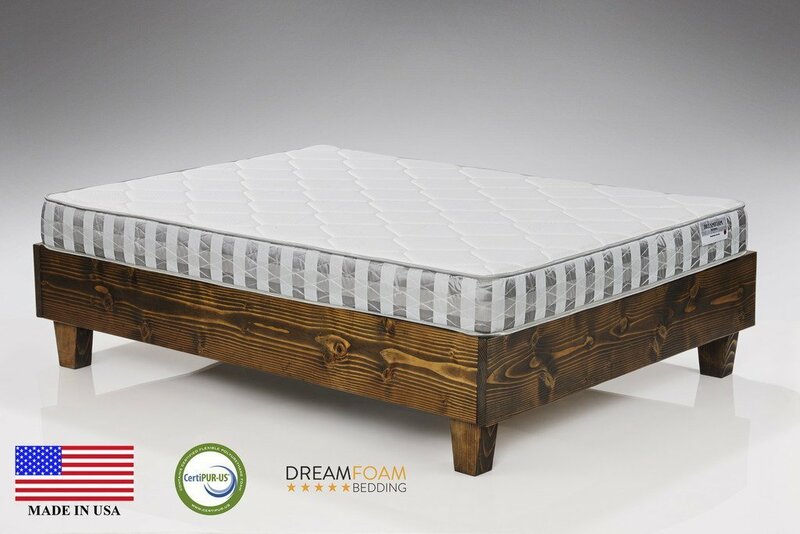 DreamFoam Ultimate Dreams 13″ Copper Gel Memory Foam Mattress combines the health, support, and thermal properties of copper with the comfort and support of gel memory foam. It has been shown to be more lethal to the flu virus than stainless steel. 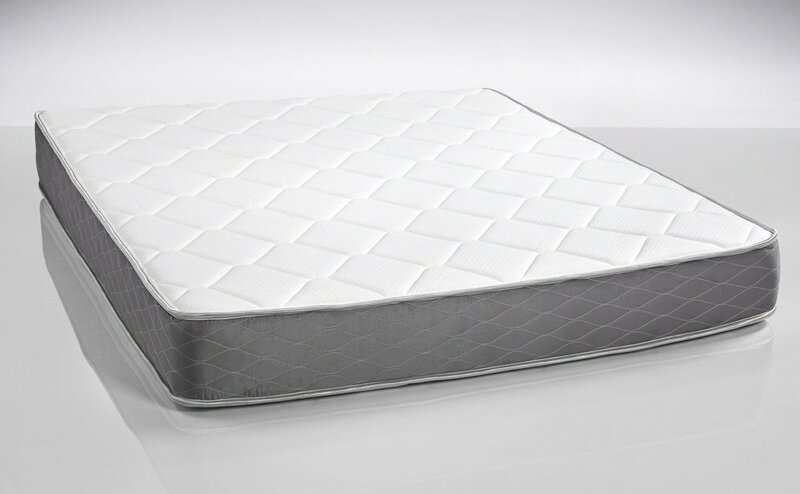 The Dream Foam Crazy mattress EuroTop is the perfect option to get a great bed without the high price tag. 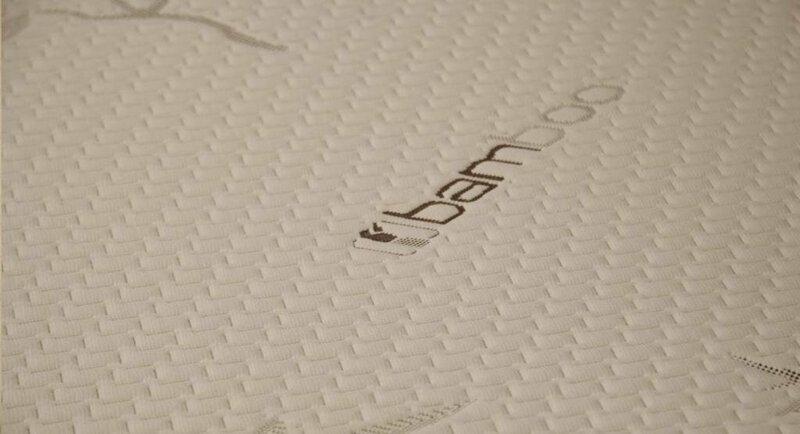 The core of our mattress features a dual convoluted layer with a TriZone support. This Bed will be a medium firm feel. 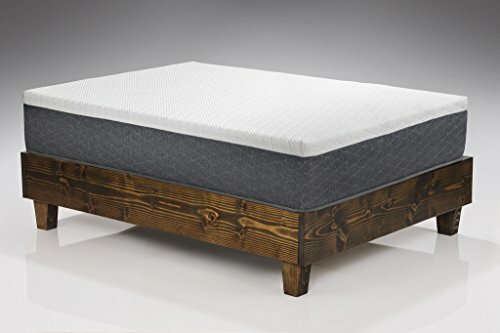 This feel will allow the top of the mattress to provide a contouring comfort while allowing the core of the mattress to offer you a great support. Not to Firm Not to Soft Feeling Memory Foam Mattress with the Perfect Amount of Support and Comfort. So many Sizes available to choose the one that you need for most comfort! 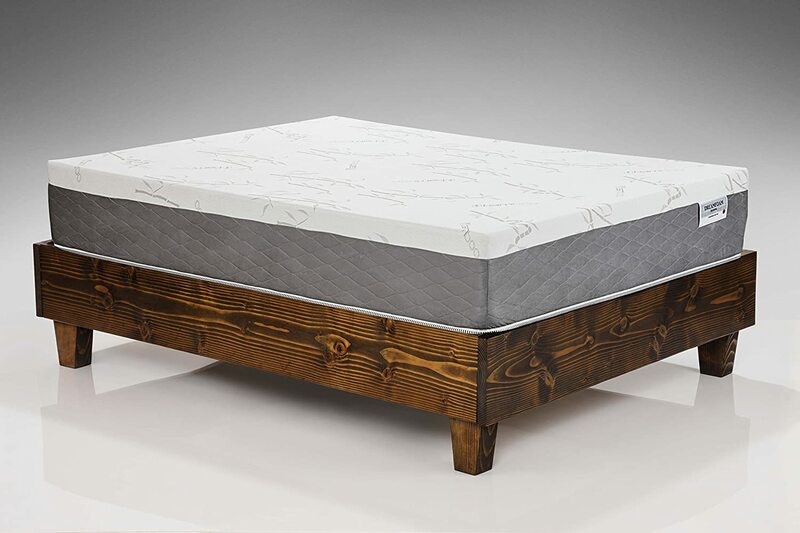 If you have a mattress that is too new to be replaced, but need an Mattress that needs an extra layer of softness or better pressure point relief, our 3 inch blended latex topper may be the perfect solution to give your mattress a magnificent feel. This Topper will go directly on top of your current mattress. Soft latex topper is going to be a 19 ILD Latex topper. This will add a nice layer of softness to your bed. The Medium latex topper is going to be 28 ILD latex. This topper is great when you are trying to add a little bit of softness but mainly trying to achieve pressure point relief. The Firm latex topper is going to add a layer of pressure point relief without adding any softness to the bed. Latex is one of the most durable products in the mattress industry. It provides unbeatable support and comfort without the sinking feeling. Latex toppers provide the perfect balance of comfort and support so you can enjoy deep, sound sleep night after night. Latex instantaneously conforms to the shape of your body, gently supporting and comforting you all night long, with up to 33% more pressure relief than other foam bedding. SOFT FABRIC COVER. Flex linen is removable, washable & works on any home bedroom furniture bed frame, box-spring or futon. Stays comfortable and has a cloud like sensation. You can put this topper on your current mattress right underneath your sheets. Gel Memory foam is the newest technology in the mattress industry. It will give your current Mattress some new life! PLUSH SLIP-RESISTANT COVER: Plush Bamboo-Rayon cover (70% Bamboo-Rayon, 30% Polyester) provides the topper with an ultra-soft, breathable surface. 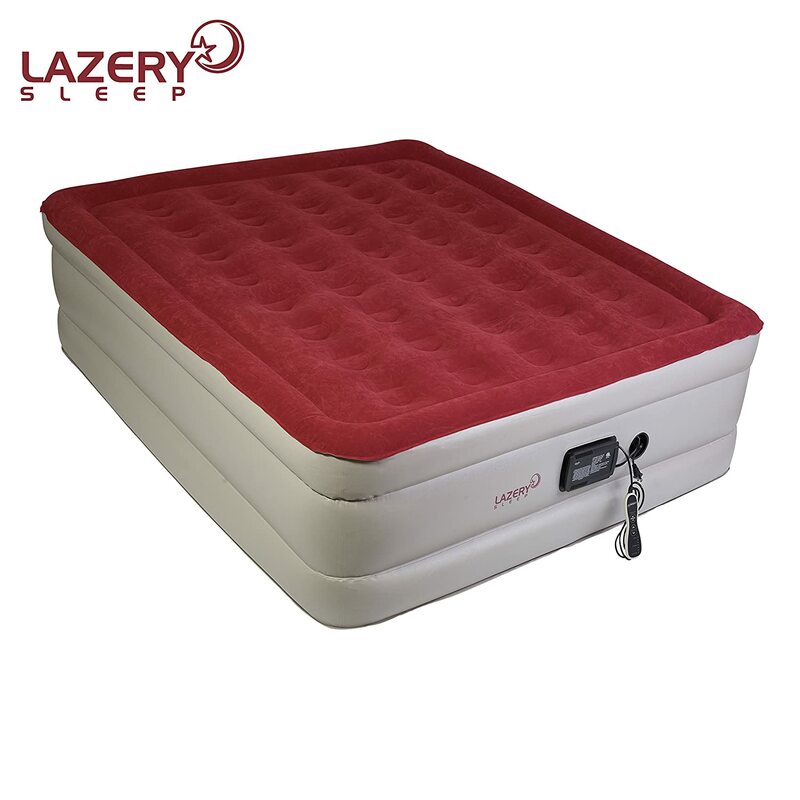 The bottom of the cover features slip-resistant mesh and adjustable elastic straps to secure each corner of the topper to mattresses up to 10″ thick. Cover is hypoallergenic, removable and machine washable. Allergy relief – Our CertiPUR-US® certified foam is naturally hypoallergenic with anti-microbial qualities that provide relief for allergy and asthma sufferers. Advanced Sleep Solutions Memory Foam Mattress Topper 2″ Inch UltraComfort Twin is a Great Gift for your Son on his Birthday or for Christmas Holiday. by giving him this Advanced Sleep Solutions Memory Foam Mattress.because it will add an extra layer of sleep comfort for a better night’s rest. PORTABLE CONVENIENCE – Fordable Blow Up Mattress with Puncture Proof Material Holds Up to 500 lbs & Fits in Closet or RV; Arrives in Bag for Easy Transport. Comfort and Support – The Egg Crate Memory Foam Mattress Topper offers the perfect combination of comfort and support for the ultimate sleep experience by contouring perfectly to the curves of your body to help relieve stress, joint pain, muscle pain, and even arthritis. Topper is CertiPUR-US® certified with naturally hypoallergenic and anti-microbial-providing qualities for allergy and asthma sufferers.